I’m always looking for someone to chase. Everyday I’m at the gym I know I have it in me to compete with myself…which is often the harder part. But being able to find someone on the leaderboard day in and day out to be alongside of makes things a little more fun, more exciting. For fitness and the sport of CrossFit, Chris is my guy. 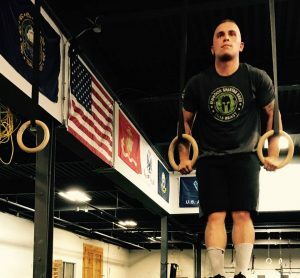 While we are often head to head for the WOD he absolutely smashes me on his commitment to bettering himself and his fantastic outlook on life. 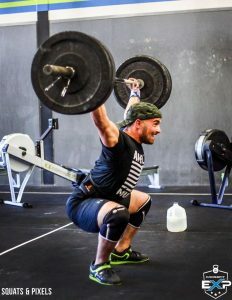 To be clear, it is not his presence in the gym that impresses me the most (because we are rarely there together) but the pieces of himself he leaves at the gym – his score on the whiteboard, his likes and comments on other athletes and the positive messages he richly displays on Facebook and Instagram. I chose to do CrossFit in October of 2015. A friend saw me doing muscle ups on a pullup bar at the gym I was working out at and asked if I did CrossFit. I replied, “No” and she asked me to come to a “Friend’s Day” at her gym, CrossFit Dracut. I accepted her invitation and from that day on, I was hooked. I loved the tempo, the motivation levels of everyone working out and the challenge of completing such a high volume of work in a shortened period of time. Of course it was all manageable and you had to know your limits, but limits that could be passed week after week if you played your cards right. 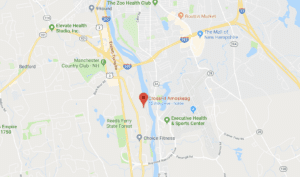 My favorite part about CrossFit Amoskeag is the atmosphere. I literally feel like we are just one big happy family that enjoys certain levels of fitness and motivating and pushing through workouts together. I love that we can all share our stories and help one another achieve any goal we set in sight. Honestly, my family has supported every d ecision I made since I moved out on my own at 17. I have made a great life for myself through blood, sweat and tears, which all in one word is “Hard,” and I mean hard, work! They know that CrossFit is a priority for me and that it keeps me in good standings because it’s my “therapy” in life. I respect everyone that goes there and I admire how much work is put in by all the athletes. I look up to everyone that puts in 110% because that is something I strive to do each and everyday I walk into that gym. So if you are doing that, I admire that more than anything. Karen…. Too many wall balls. Knowing everyone who goes here and how much we all keep each other motivated and are willing to help one another no matter what. Favorite quote or motto? Get After It! Well, there are many reasons and things that keep me going when things seem impossible! It’s kind of hard to explain but I think about all the people that I’ve known through the years that aren’t here today; All the soldiers who haven’t made it home. I think of all the people that aren’t given the opportunity to live a full life because of cancer or immune system deficiencies. I think of all the ways my life could’ve been but instead I was given a gift, a gift that most of those people would do anything for. So I am grateful to wake up everyday and push myself to a limit that humbles me each and everyday but pushes me to do better and better day in and day out. If you have a goal, a dream or a wish to happen mindset, stop right in your tracks. Take out a pen and paper and write them down because everyday you read this, think about how your actions day in and day out are getting you to live the reality you want to! Never back down and never say you can’t, because you can! Interested in trying CrossFit? Fill out the form below.